Wormald is pleased to announce it has signed a national supply agreement with Komatsu to provide fire suppression systems for mobile equipment. An industry first, the partnership will see vehicle fire suppression systems supplied directly to Komatsu for fitment by technicians at the assembly stage. Wormald will be responsible for the design, supply, risk assessment and commissioning of fire suppression systems for most of Komatsu’s mining and construction mobile equipment. It will also supply fire extinguishers for all mobile equipment. Vehicle fire suppression systems can significantly reduce the damage of a fire, yet unfortunately some mine and construction operators are hesitant to install these systems despite the risk of fire in mobile equipment. This partnership will make it easier for mine and construction operators to integrate high quality and reliable vehicle fire suppression systems onto mobile equipment at the point of purchase. Wormald is proud to partner with a historical Australian fire protection brand and leader in quality and reliability in the earthmoving industry. Komatsu is currently celebrating 50 years of operation in the Australian market and over 94 years globally, and Wormald celebrated its 125 year anniversary last year. 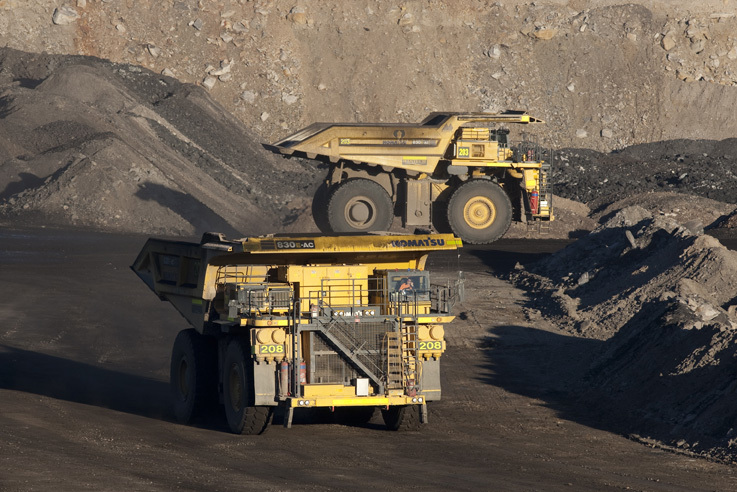 Our combined experience in manufacturing and servicing heavy duty mobile equipment and products positions us well to meet the evolving safety needs of the mining and construction industries. The new vehicles will be available for order from March and can be viewed in Komatsu showrooms in every major city around Australia.